Niagara Falls is a beautiful and mystical place — which makes it the perfect setting for films of all types. Movies with genres as disparate as romantic comedy and film-noir, action/adventure and satire have placed their heroes and villains in Niagara Falls, and plenty of them required filming scenes in Niagara itself. Book one of the best niagara falls tours to make sure you don’t miss any of these Hollywood hot spots. This film-noir thriller is long been lauded as the film that brought Marilyn Monroe into the spotlight and launched her movie career. The plot of “Niagara” follows two married couples on their honeymoons in Niagara, but what should be a happy time turns sour as the younger couple, played by Monroe and Joseph Cotten, starts to show their marital problems. This film is credited with some of the best footage ever taken of the falls. 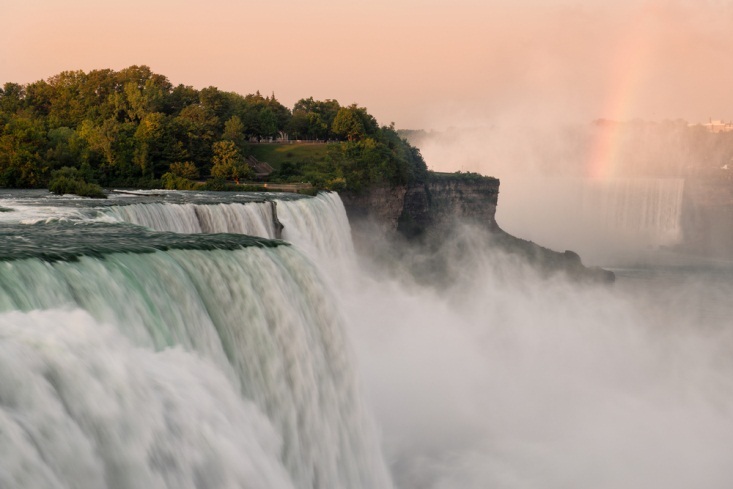 To get the same views on your trip, head to Skylon Tower on the Canadian side and New York State Park Observation Tower on the American side. Based on an absurd play of the same name, “Luv” is a slapstick romantic comedy starring Jack Lemmon. The plot follows depressed and suicidal Harry Berlin, played by Lemmon, as he is saved from death by his old friend Milt, who drags Harry into his love triangle in an attempt to leave his wife, Ellen, happy after the divorce. In the midst of the hilarity and confusion of the plot, Harry and Ellen visit Niagara Falls for their honeymoon. You can test your love like this famous couple — or just see some amazing scenery — at Prospect Point. If you love action and espionage — and movies with big twists — you’ll love watching this before your trip to Niagara Falls. This thriller follows Roy Scheider as a U.S. government agent afraid for his life. 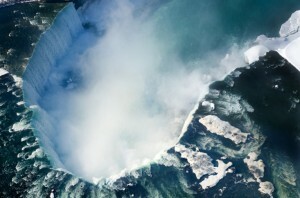 The heart-pounding climax of the film takes place in Niagara, as the protagonist and antagonist run around the falls, including through the powerful hydroelectric power plant, right before the terrifying and memorable ending at the top of Horseshoe Falls. Who could forget the fantastic comedy and heartwarming message of Jim Carrey’s recent role in “Bruce Almighty”? After suffering too long as an out-of-luck news journalist, Carrey as Bruce is blessed with the omnipotence of God — but also cursed with the responsibilities. At the beginning, the film shows Carrey at the falls interviewing a captain of the Maid of the Mist, the popular boat tour now known as Hornblower Niagara Cruises that brings visitors right underneath the plummeting falls, so be sure to book a ticket if you want to see the falls like Bruce. Even the most researched film buffs may not know that one of the most impressive scenes in this movie was filmed partially at Niagara Falls. As Captain Barbossa sails his precious Black Pearl to the edge of the Earth to rescue Captain Jack Sparrow (played by Johnny Depp), he must navigate several obstacles, including a gut-wrenching drop over a colossal waterfall. To get the shot, producers collaborated with Niagara Falls staff to hang a crane over Horseshoe Falls to get the perfect view of the rushing water.